The people that consistently cash in daily fantasy aren't merely lucky. The money makers are the people that dig deep and do their homework and utilize the research published by experts. Gamers that have played in season long leagues likely understand the importance of doing one's homework when it comes to constructing winning fantasy teams. Preparation for daily fantasy is of even greater importance than for season long leagues. Thankfully, some of the same resources used for boning up on season long league information are helpful for daily fantasy. We, the Daily Fantasy Cafe staff, will educate you about what information is worth factoring into your research and which isn't. Furthermore, we'll provide oodles and oodles of daily fantasy content to guide you to cash. We're here to help you win consistently in daily fantasy, and our offerings will be plentiful. Whether you're looking for NBA, MLB or NFL coverage, we've got you covered. The Daily Fantasy Cafe will feature articles breaking down the impact of injuries on the daily fantasy landscape. There will be cheat sheets with detailed breakdowns of pertinent statistics. The site will have picks articles with specific information as to which players are best used in cash games and who is best used in GPPs. In advance of the big daily fantasy contests we'll specifically highlight strategies best utilized to make a run at the huge cash prizes reserved for top finishers. Playing daily fantasy across multiple websites is a great way to maximize potential earnings, and we'll highlight market exploitation opportunities. 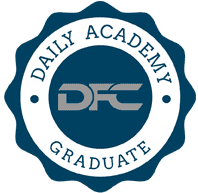 It won't be all about written content here at the Daily Fantasy Cafe either, we'll also be offering video podcasts and Q&A opportunities for members. This should go without saying, but the beautiful casinos and resorts erected in Las Vegas aren't the result of sports books setting terrible betting lines. Even the daily fantasy experts are taking a look at betting odds. This is freely available information that would be foolish to pass up. When the information of sharp folks that rarely whiff is available, it needs to be incorporated into daily fantasy research. The message boards at the Daily Fantasy Cafe are a great resource. This is a daily fantasy community, and that community includes the experts posting on the message boards. Thoughtful discussion and understanding what's going through the minds of daily gamers can be incredibly helpful when constructing rosters and cashing regularly. Literally knowing your opponent's track record in daily fantasy is a big deal. You don't want to be consistently playing daily fantasy pros and grinders in head-to-head games day after day. That's a losing battle, or at the least, a more difficult way to eek out a profit. Knowing the track record of gamers on FanDuel is simple, click on a gamers username and you'll see the total numbers of wins for them as well as a breakdown of what sports those wins were accumulated in. For DraftKings games, a user search through a search engine is a good way to do homework on head-to-head opponents before stumbling into a difficult matchup. The figurative sense of knowing your opponents can be useful, too, namely in GPPs. What players are projected to be heavily rostered on a given night? If you know the answer to that question, it opens the door to fading a highly owned player in favor of a more volatile option with similar upside. There is a reason these folks are making a full-time living by playing daily fantasy sports, it's not an accident or good fortune. As you dig through head-to-head opponents, file away a few names of regular winners. Not all games results are available, but take advantage of studying the results that are available and attempt to identify trends on experts' winning rosters. Experts aren't the only winning daily gamers, especially when it comes to GPPs. The fields for the biggest ticket GPPs are monstrous, and that leads to non-experts also winning these games. Studying the winning lineups, especially in large GPPs that are offered weekly, is a useful tool for building your own successful lineups. Is there a common roster trend week to week such as a position being spent on more or less heavily than others? Were the players on the top cashing rosters players that you identified as strong plays? If they weren't, it's worth researching why those players were used and what you were possibly missing when evaluating options. There is only a finite amount of time that gamers can dedicate to research. Full-time daily fantasy gamers have more research time than casual gamers looking to earn extra income, but regardless of what your status is as a gamer, you have to determine the best way to allocate your time. Determining what information is most important for each sport is a good starting point. The most pertinent info should be researched first, secondary and tertiary data deserves research time as well, but not at the expense of digging into the primary info. If something comes up on a given day that cuts into your routine and the time you have allocated to research, it's best to pass on playing on that day as opposed to blindly risking your money in games. As you play and track daily fantasy games, you'll want to make note of what scores are resulting in cashes regularly. When you've determined an approximate winning score, implement it into your research. You now have an idea of what score will win money, this information will prove handy when deciding how best to dispense salary cap dollars on the roster. Grabbing the highest projected scorer isn't always the right decision, namely if they are too expensive to return the appropriate point total per dollar spent. The best daily fantasy lineups are a product of making the most of the salary cap, not simply identifying the day's top scorer and filling out the rest of the roster with scraps. When push comes to shove, you'll have to enter daily fantasy rosters before games start. You've done your research, don't backtrack and make last second changes for the sake of doing so. Obviously if a player you planned to use is a late scratch I'm not advocating leaving him in, but I am saying don't swap players based on a last second whim. You'll often regret that impulse fueled change. A common motivator for making a change with the clock winding down is leftover salary cap dollars. If a sizable percentage of your salary cap is leftover after selecting a roster it's likely you could've spent more wisely, but a few hundred dollars left unspent isn't a big deal.